The United States Men's National Team's path through Philadelphia is now set! 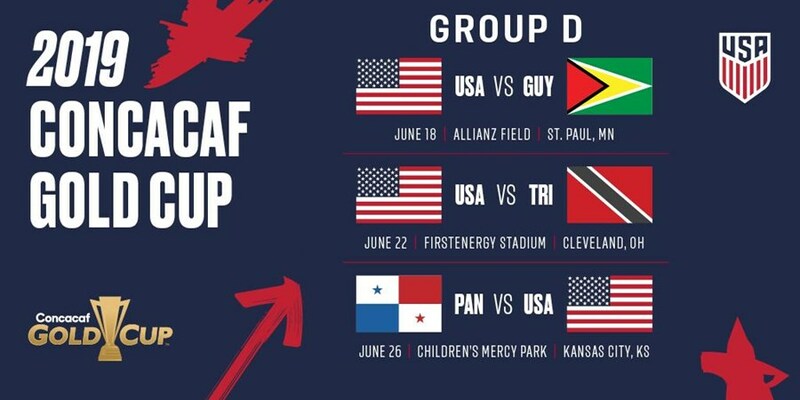 The USMNT will play in Group D, opening the 2019 CONCACAF Gold Cup against Guyana in St. Paul, Minnesota. Should the Americans finish atop their group, they'll head to Lincoln Financial Field in Philadelphia on June 30 for the quarterfinals. Don't forget that Philadelphia is also in the running to host games at the 2026 FIFA World Cup. Check out Philadelphia2026.com to find out how you can support the host bid!